During this Lenten season, many people are giving up and making certain sacrifices for their faith. For some, that includes giving up and not eating meat on Fridays during Lent. This can throw your regular meal planning schedules for a loop and it isn’t always easy coming up with a recipe that will please your whole family. Today, we are sharing 15 delicious recipes that you may or may not have heard of already! 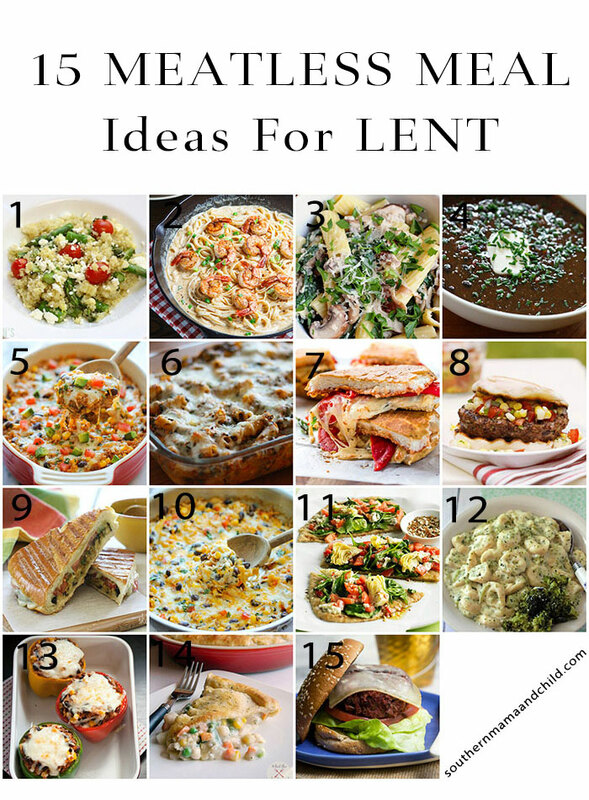 Either way, here are a ton of ways to spice up you Friday night dinners during Lent! A personal favorite and top pick of mine is No.7! A favorite for adults and the kids! And we also get excited about no. 6, baked ziti is always a hit!